200 HP Supercharged Verado- new swing back lounge layout!! MSRP is over $80,000 and this unit must go and is priced to sell! This Blackout package with Matador Red color scheme is the first in the area, and also boasts the Premium Package, with Horizontal Diamond-Pressed Driftwood soft-touch seating throughout. It features the new reversible rear lounger that can be configured for different seating set-ups. Change it up in 2 seconds! This one includes the 200 HP Supercharged Mercury Verado motor with Digital throttle/shift, puch button starting, plus Power Steering! 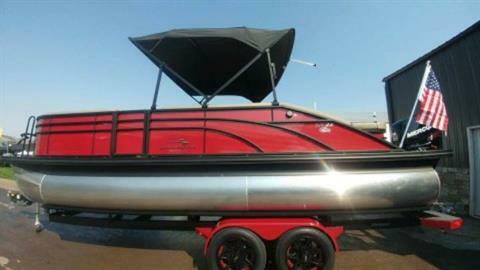 This 200 is the maximum allowed on this 24' platform, plus it has the Sport Performance System (SPS). 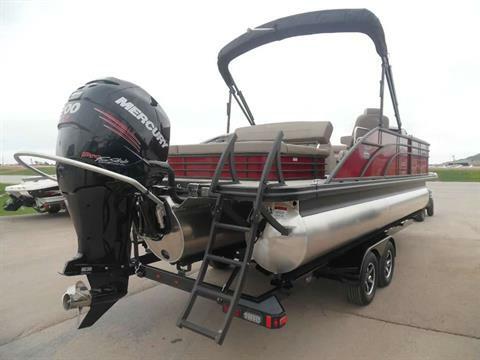 (SPS offers a full-length TriToon package (with In-Floor Storage) for maximum lift and top speeds, full under-deck WaveShield for a quiet, smooth ride without surging, and a Megapan 37 gallon upgraded fuel cell. 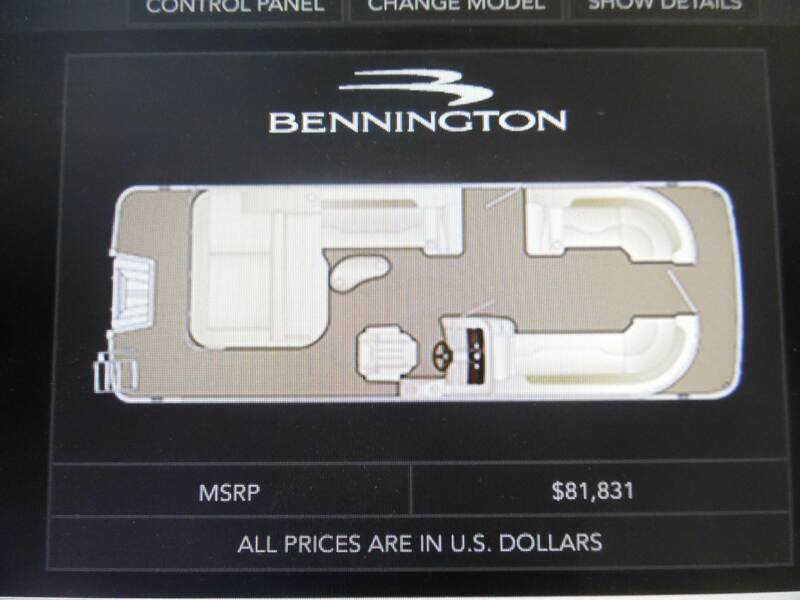 Other options: Changing room with privacy enclosure curtain, Heavy Duty Black Rubrail around the perimeter, Docking lights, Ski Tow bar for pulling tubes and skiers, upgraded Kicker speakers, White Ice illuminated Bimini Top, Upgraded Reclining Captain's Chair with Flip-Bolster, HUGE in-floor storage, and a lot more. We didn't opt for the regular trailer on this one... we upgraded it, too. This BoatMate trailer is from the same company that builds our Tige' boat trailers. Overkill? Yes. But it looks great with those Aluminum Alloy Wheels! It also features the spiral staincase walk-up with dual premium handrails, front and rear step-pads with non-slip mat, reverse lights, 1500# jack, ratchet tie-downs, loading guide-ons, disc brakes, and 205/75/R14 full-size radial tires.